The anthem comes after the July release of their debut Japanese mini-album, #Cookie Jar. And it sounds like it may be the group’s next global hit. Boasting another vibrant production and some exemplary vocals, it is a testament to their undeniable star power. And the accompanying video is just as great. Filled to bursting with chic looks and choreographed routines, it is a colorful explosion with some fun twists. The release is also on track to be their next viral video. At the time of publishing, it has been viewed more than 6 million times. That’s enough to have it sitting within the Top 20 on YouTube’s trending page. “Sappy” is sure to get plenty more love if it makes it on the setlist for the group’s ongoing tour. They’re currently playing a handful of shows in Japan and will touch down in North America in February. 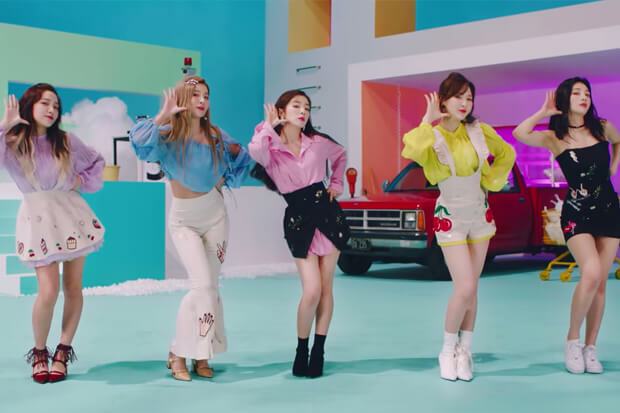 In the meantime, check out Red Velvet’s latest release below!